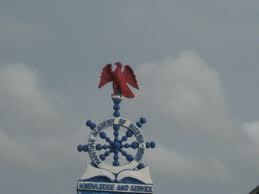 Maritime Academy of Nigeria, MAN National Diploma (ND) entrance examination date have been re-scheduled. Authorities of the Maritime Academy of Nigeria (MAN), Oron have announced new dates for the conduct of National Diploma (ND) entrance examinations. The new date is Saturday, 8th August, 2015. Candidates that applied for the programmes listed below are affected and are to take note of the new dates. N/B: Candidates are expected to come with their photo-cards for the purpose of identification.